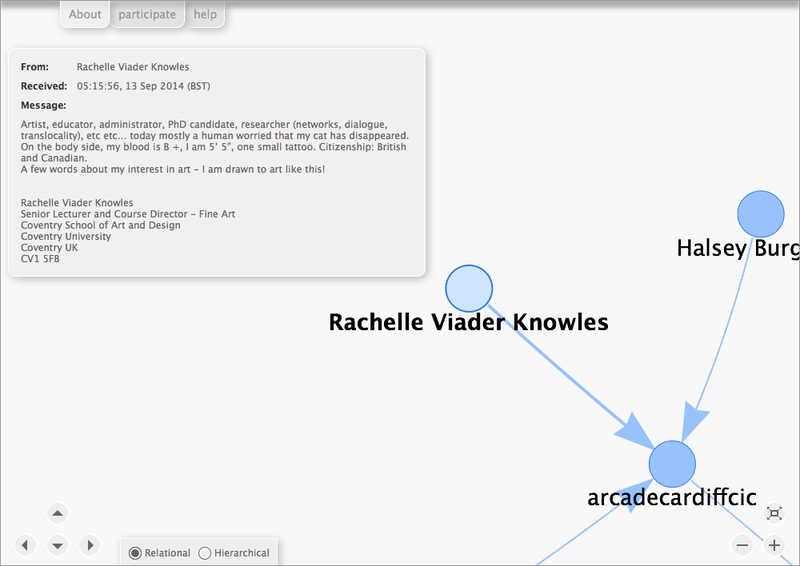 Above: A network of people who attended an exhibition and contributed to the creation of this work website. Click image to see more. 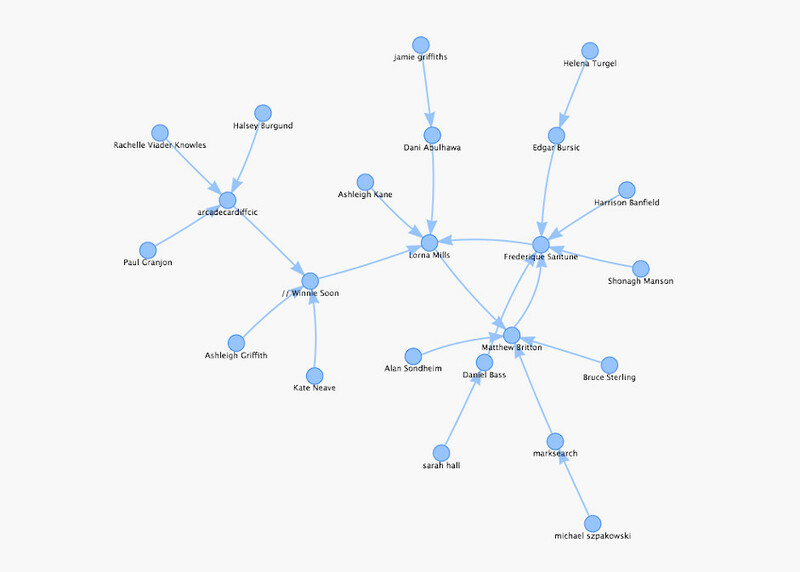 A network of people who attended an exhibition and contributed to the creation of this work is a durational event in making connections between people based on their visit to an exhibition ‘site’ (physical or online), their participation in and assumed interest in art. The event is performed through email and documented online through a web interface. In order for the work to occur visitors to the exhibition must participate. Visitors are requested to send an email to an address that is only provided on a business card at the exhibition ‘site’. They state their name in the subject line and a few lines about themselves and their interest in art within the body. Their information becomes the works content however it is their participation, their action, that becomes the works subject matter. By sending the email visitors, spectators of the work, become participants in the work’s creation and it as an event comes into being. 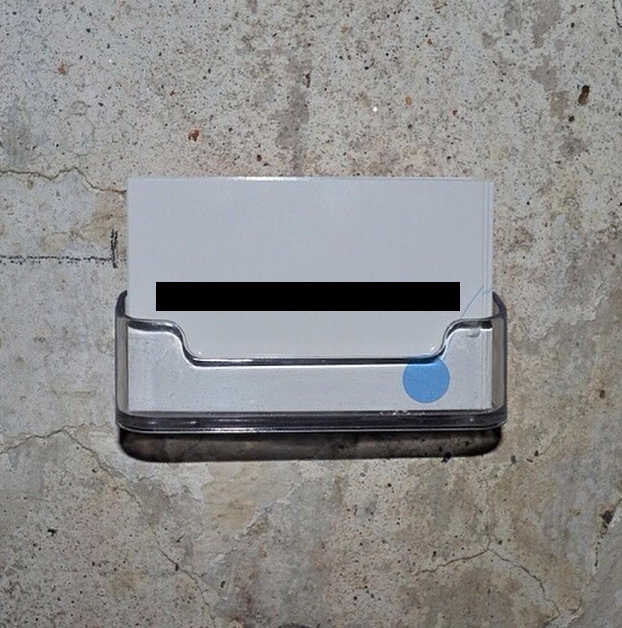 Above: The business card used at the physical exhibition site which invites visitors to participate. Photograph courtesy of Matthew Britton. Once there are a number of participants, the work puts each participant in contact with another by forwarding their name, introductory text and email address. Participants are encouraged to connect with their selected match by emailing them. 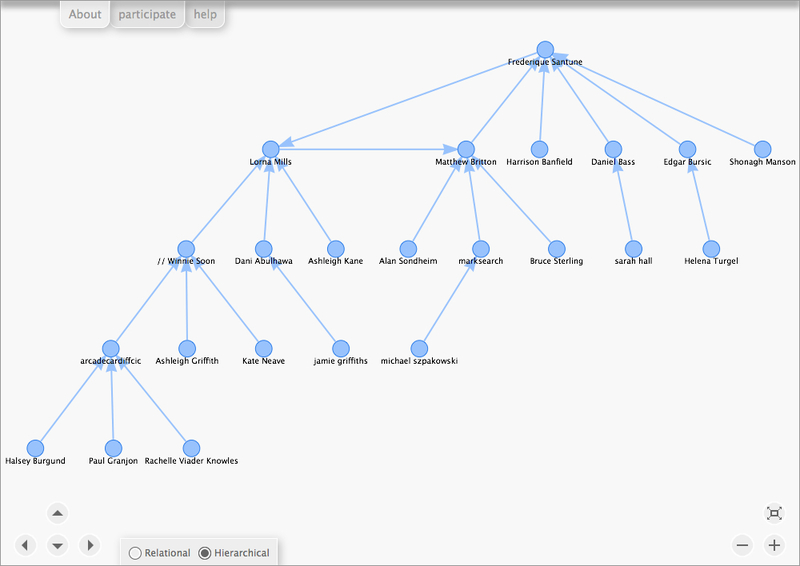 Only participants names, introductory texts and match are displayed online. 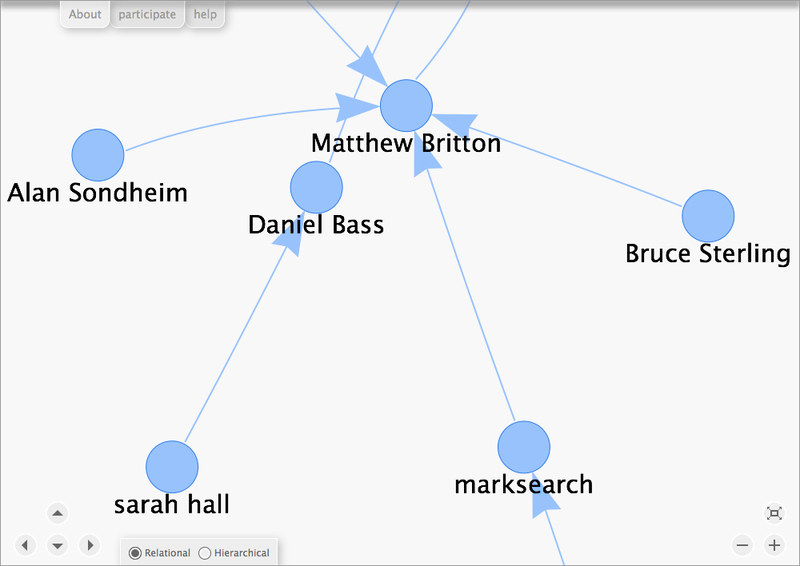 Email addresses, the means to become part of the network, are only shared by email with others who have participated. In this way the work as event both facilitates and is a temporary network of proximal, ‘real’ or ‘virtual’, activity and interest. The work lasts the duration of the exhibition and thereafter becomes inactive with the online component remaining as documentation of the created network. A network of people who attended an exhibition and contributed to the creation of this work was commissioned and exhibited as part of Out of Office at Colony 14 Festival, Cardigan, Wales. 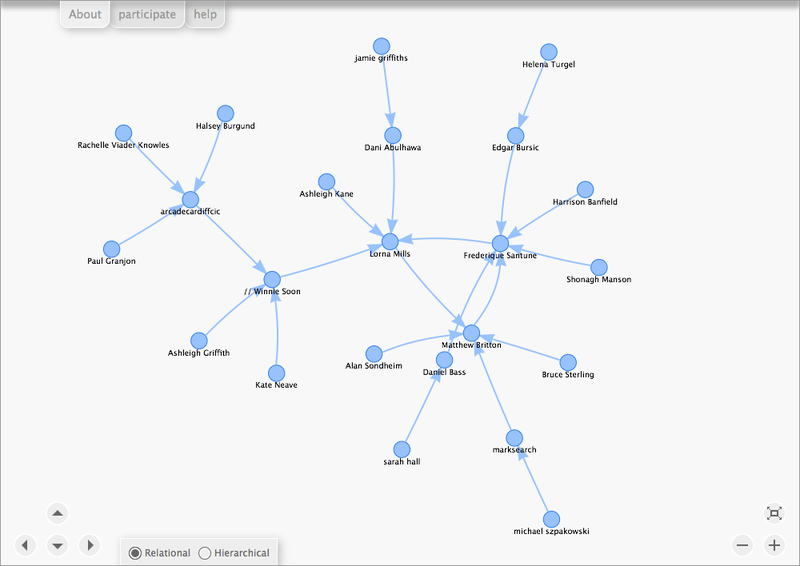 Outcomes of the work were subsequently shown at Networked Bodies, Watermans, London. A second version of the work was exhibited at Kreuzberg Pavillon as part of About the Risks and Dreams of Permeable Systems. This work uses the superb Vis.js visualization library.